“We Belong Together” hails from her classic 1981 album Pirates, of course, and really should’ve been released as a single, as it’s one of her best songs. Another highlight came earlier in the night with the second single released from her 1979 eponymous debut, “Chuck E.’s in Love,” which is the first thing I – and most folks, I’m sure – heard by her. According to Weekly Top 40, it made its chart debut – at No. 65 – on April 28th, the same week that Blondie’s “disco song,” “Heart of Glass,” topped the charts. Over the course of the next two months, it slowly weaved its way through the disco and pop dross cluttering Top 40 until, on June 9th, it hit entered the Top 10 at No. 8. Four weeks later, on July 7th, it peaked at No. 4 (a spot it would hold for an additional week). That July wasn’t much different from what I described in Today’s Top 5: June 1979 or Today’s Top 5: September 29, 1979 other than, for me, school being out. There was also this: I was 13 when the month began, and 14 when it ended. Beyond that, according to Wikipedia, the month’s notable events included, on the 2nd, the Susan B. Anthony dollar coin being introduced; on the 8th, L.A. passing a gay and lesbian rights bill; and, on the 16th, Steve Dahl’s “Disco Demolition” stunt at Chicago’s Comiskey Park going kaboom. Among the albums released this month were Neil Young & Crazy Horse’s Rust Never Sleeps, the B-52’s debut and the Kinks’ Low Budget, but I wouldn’t discover them for quite some time. I was a kid on a budget, after all, and albums were often a luxury. And, too, there’s this: I was (likely) still grooving to a release from the month before: Wings’ Back to the Egg. 2) Donna Summer – “Bad Girls.” As I noted after her untimely death, Donna Summer wasn’t just the “queen of disco” in the late ‘70s, but the queen of the Top 40. This week, she holds the No. 2 spot with the propulsive second single from the Bad Girls album; it was No. 3 the previous week, and would hit No. 1 the next. According to the Wikipedia entry, she was inspired to write the song after she was stopped one night by a police officer who mistook her for a prostitute. Who knew? 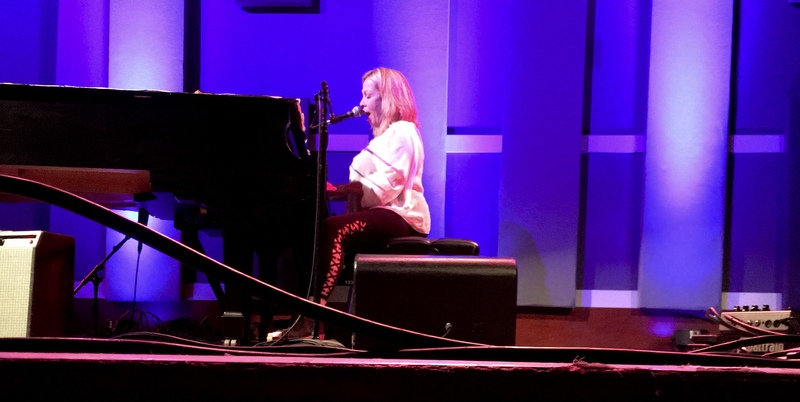 4) Rickie Lee Jones – “Chuck E.’s in Love.” Rickie Lee’s biggest hit is also one of her greatest songs, a true effervescent shot of upbeat joy. This week, it reached No. 4 on the charts – a spot it would hold for one more week before falling out of the Top 10. 5) Kenny Rogers – “She Believes in Me.” Disco may have ruled the charts in the late ‘70s, but as evidenced by “Chuck E.’s in Love,” there was more to the era’s music than fast beats. And just as hip sounds could find their way in the charts. So could country – especially when sung by Mr. Rogers. 6) Supertramp – “The Logical Song.” Mr. Spock’s theme song, from Supertramp’s smash Breakfast in America LP, peaks at No. 6 this week. 7) Wings – “Getting Closer.” Back to the Egg sported a cool cover, and some good-to-great tunes. Not Paul McCartney’s best, but far from his worse – New Wave in theory, at least in spots, but Old Wave in practice, through and through. This, the lead single, clocks in at No. 31, and would stall a few weeks later at No. 20.